Massachusetts Institute of Technology, 1998. Stanford University School of Medicine, 2004. My lab is interested in uncovering innate immune mechanisms used by the host to defend itself against bacterial pathogens and how bacterial pathogens evade host immunity to cause disease. We utilize the intracellular bacterial pathogen Legionella pneumophila, causative agent of the severe pneumonia Legionnaires' disease, as our primary model. Legionella has evolved numerous mechanisms for modulating eukaryotic processes in order to survive and replicate within host cells. The ease with which Legionella can be genetically manipulated provides a powerful system for dissecting immune responses to bacteria that differ in defined virulence properties and for elucidating mechanisms of bacterial pathogenesis. A major focus of our lab is to understand how the immune system distinguishes between virulent and avirulent bacteria and tailors appropriate antimicrobial responses. One key immune pathway involves the inflammasome, a multi-protein cytosolic complex that activates the host proteases caspase-1 and caspase-11 upon cytosolic detection of bacterial products. These caspases mediate the release of IL-1 family cytokines and other inflammatory factors critical for host defense, but overexuberant activation can lead to pathological outcomes such as septic shock. We are currently pursuing how mouse and human inflammasomes differentially respond to bacterial infection. We are also interested in elucidating how the immune system successfully overcomes the ability of pathogens to suppress critical immune functions. We recently found that infected macrophages circumvent Legionella's ability to block host translation by selectively synthesizing and releasing key cytokines. These cytokines then instruct bystander immune cells to generate an effective immune response. We are defining additional mechanisms that facilitate communication between infected and bystander cells and promote antimicrobial defense. We also study the evolutionarily related pathogen Coxiella burnetii, and other bacterial pathogens, with the goal of identifying shared and unique features of innate immunity and bacterial virulence. Insight into these areas will advance our understanding of bacterial pathogenesis, how the innate immune system distinguishes between virulent and avirulent bacteria and initiates antimicrobial immunity, and will ultimately aid in the design of effective antimicrobial therapies and vaccines. 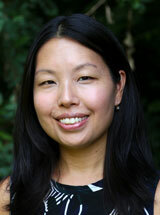 Prospective students and postdocs are encouraged to contact Dr. Shin to learn more about our research. Reyes Ruiz, V.M., Ramirez, J., Naseer, N., Palacio, N.M., Siddarthan, I.J., Yan, B.M., Boyer, M.A., Pensinger, D.A., Sauer, J-D., and Shin, S.: Broad detection of bacterial type III secretion system and flagellin proteins by the human NAIP/NLRC4 inflammasome. Proceedings of the National Academy of Sciences 114(50): 13242-13247, 2017. Casson, C.N. *, Doerner, J.L. *, Copenhaver, A.M., Ramirez, J., Holmgren, A.M., Boyer, M.A., Siddarthan, I.J., Rouhanifard, S.H., Raj, A., and Shin, S.: Neutrophils and Ly6Chi monocytes collaborate in generating an optimal cytokine response that protects against pulmonary Legionella pneumophila infection. PLOS Pathogens 13(4): e1006309, 2017 Notes: *co-first authors; listed in alphabetical order. Holmgren, A.M., McConkey, C., and Shin, S.: Outrunning the red queen: Bystander activation as a means of outpacing pathogen subversion. Cellular and Molecular Immunology 14(1): 14-21, 2017. Bradley, W.P., Boyer, M.A., Nguyen, H.T., Birdwell, L.D., Yu, J., Ribeiro, J.M., Weiss, S.R., Zamboni, D.S., Roy, C.R., and Shin, S.: Primary role for TLR-driven TNF rather than cytosolic immune detection in restricting Coxiella burnetii phase II replication within mouse macrophages. Infection and Immunity 84(4): 998-1015, 2016. Copenhaver, A.M., Casson, C.N., Nguyen, H.T., Duda, M.M., and Shin, S.: IL-1R signaling enables bystander cells to overcome bacterial blockade of host protein synthesis. Proceedings of the National Academy of Sciences 112(24): 7557-62, 2015. Casson, C.N., Yu, J., Reyes, V.M., Taschuk, F.O., Yadav, A., Copenhaver, A.M., Nguyen, H.T., Collman, R.G., and Shin, S.: Human caspase-4 mediates non-canonical inflammasome activation against Gram-negative bacterial pathogens. Proceedings of the National Academy of Sciences 112(21): 6683-93, 2015. Shin, S. and Brodsky, I.E. : The inflammasome: Learning from bacterial evasion strategies. Seminars in Immunology pii: : S1044-5323(15)00014-7, 2015. Copenhaver, A.M., Casson, C.N., Nguyen, H.T., Fung, T.C., Duda, M.M., Roy, C.R., and Shin, S. : Alveolar macrophages and neutrophils are the primary reservoir for Legionella pneumophila and mediate cytosolic surveillance of type IV secretion. Infection and Immunity 82(10): 4325-36, 2014. Philip, N.H., Dillon, C.P., Snyder, A.G., Fitzgerald, P., Wynosky-Dolfi, M.A., Zwack, E.E., Hu, B., Fitzgerald, L., Mauldin, E.A., Copenhaver, A.M., Shin, S., Wei, L., Parker, M., Zhang, J., Oberst, A., Green, D.R., and Brodsky, I. : Caspase-8 mediates caspase-1 processing and innate immune defense in response to bacterial blockade of NF-κB and MAPK signaling. Proceedings of the National Academy of Sciences 111(20): 7385-90, 2014. Casson, C.N., Copenhaver, A.M., Zwack, E.E., Nguyen, H.T., Strowig, T., Javdan, B., Bradley, W.P., Fung, T.C., Flavell, R.A., Brodsky, I.E. *, and Shin, S.*: Caspase-11 activation in response to bacterial secretion systems that access the host cytosol. PLOS Pathogens 9(6): e1003400, 2013 Notes: *co-corresponding authors.